How to best describe the amenities of the Four Seasons residences? “The view is the star,” said Jill Mastrostefano, creative director of Alexandria, Virginia-based PFour, designer of the luxury condominium floor in Harbor East. 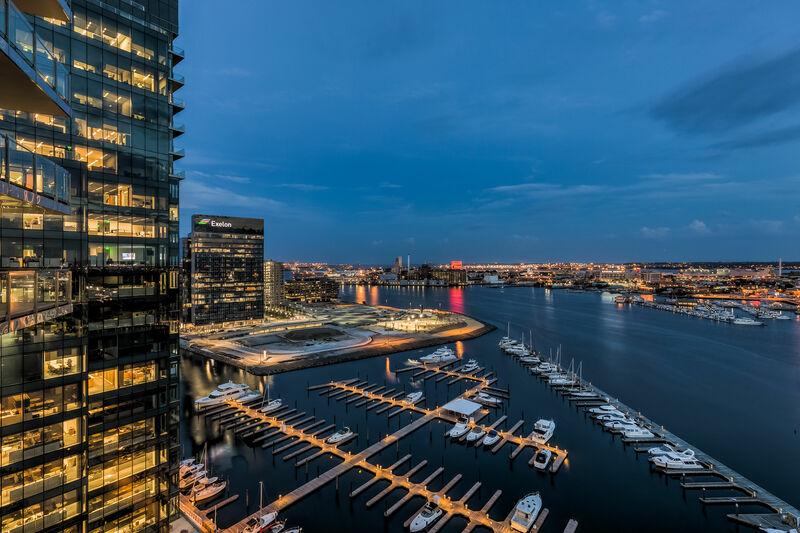 Located on the 28th floor, high above Baltimore’s waterfront, the amenity area just opened to residents of the six units already occupied there where a condo averages in the $3 million to $4 million range and the penthouse carries the city’s highest real estate price tag: $12.5 million.